There are so many online Forex brokers out there with option of Forex Demo Account, so what is Demo or Practice Forex Trading Account? Let me answer this from my question , lol, its practicing account or simply learning account with Dummy virtual cash. It is really good if you want to learn and test Forex broker, you are going to start doing trade. Usually Forex brokers have demo Accounts for demonstration of their online trading platforms. Usually these Demo trading accounts have caps of virtual money up-to $100,000. These demo accounts can be used as trial of forex brokers by both professional and new bee traders as both want to evaluate brokers. In order to learn and gain experience on how forex trading actually works, the forex trading demo account is used to learn on how to do so without risking your money . Forex brokers have different inbuilt webtraders integrated with MT4 or MT5 trading platform. You can check them up to test the software and plus the speed of execution as well. In order to know what trading system works for you it’s advisable to use the demo accounts to test new trading systems .By using the demo account you get various ideas and techniques on how to trade and which systems would work for you . 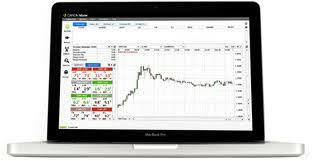 In forex trading the risk management is tough and about less than 5 percent risk in any trade which is why using the forex trade demo account would help with the knowledge of the risks involved and learn the techniques on how you could avoid them. New traders looking start trading in the forex trade and looking to get some experience before involving your money into the forex trade .its highly recommendable to make use of the forex demo account first.